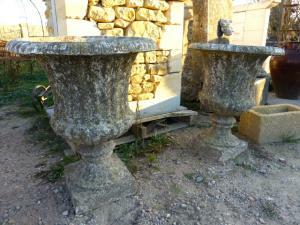 PAIR OF RECONSTITUED STONE MEDICIS STYLE URNS. 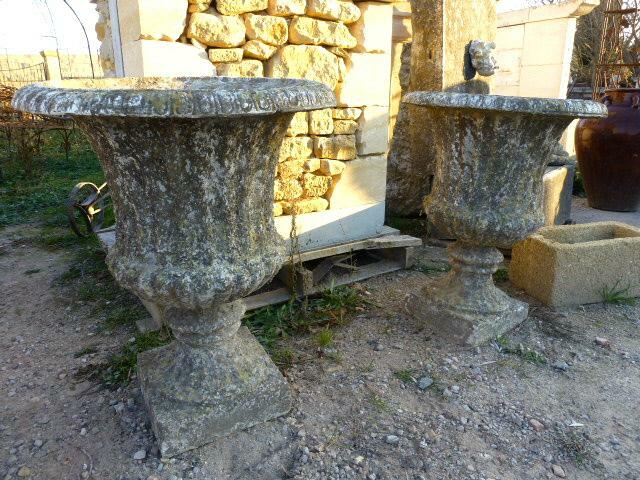 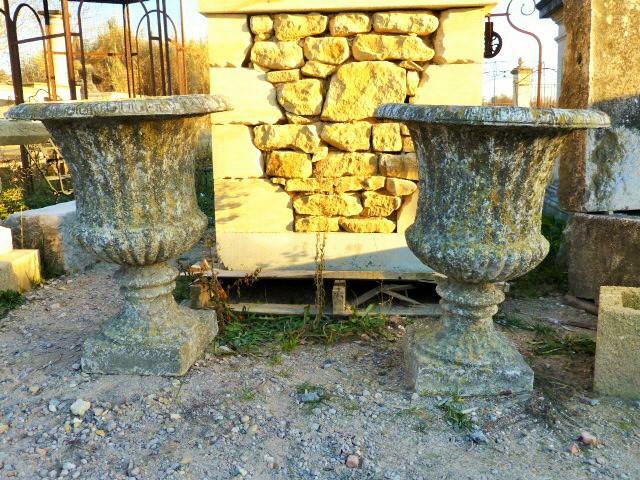 Pretty pair of classic medicis reconstitued stone urns from early 20th century. 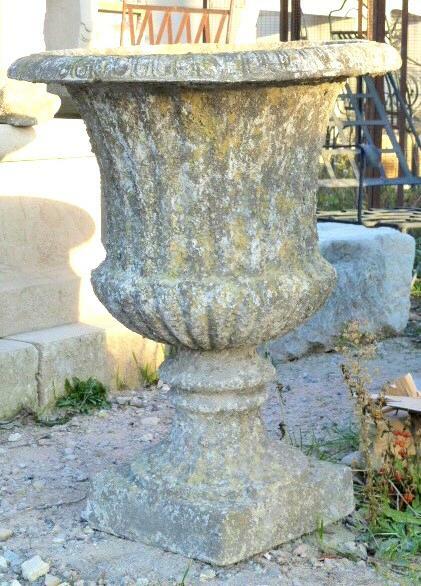 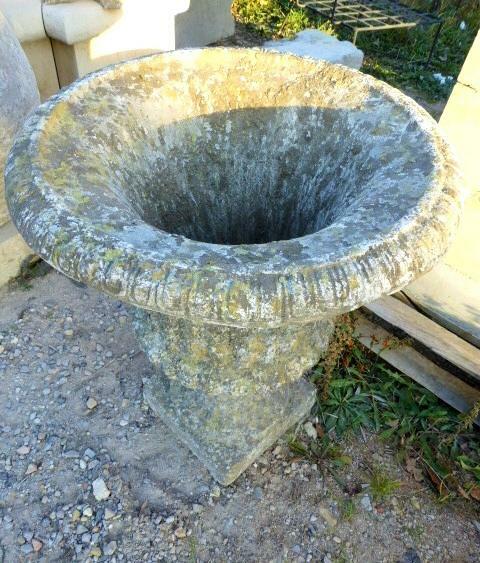 These urns are formed integrally in on block of stone.The good handcraft sculpture work and the dimensions will give a lot of charm to your garden and will develop the elegance of your exterior. 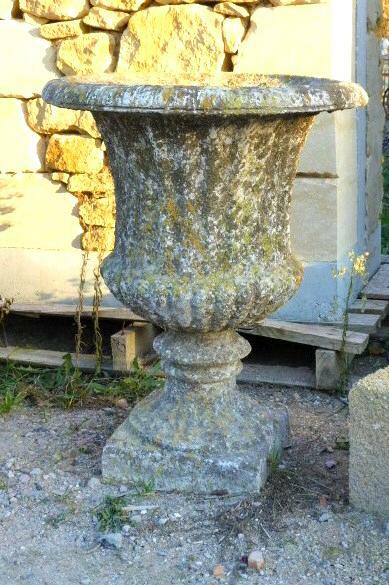 These urns are a classic of dressed medicis urns.